Jules Verne is often considered the father of science fiction, and his unique style is known throughout the world, as he is the second translated author after Agatha Christie. He wrote about space, projectiles, underwater travel and air before any real scientific progress in the field. Even today, scientists are amazed of how well he predicted certain things; but he was just a man, and some of his predictions are not even close to reality. Here are just some of the things the amazing Frenchman wrote about. Twenty Thousand Leagues Under the Sea is truly a classic novel, about captain Nemo and his submarine, Nautilus. 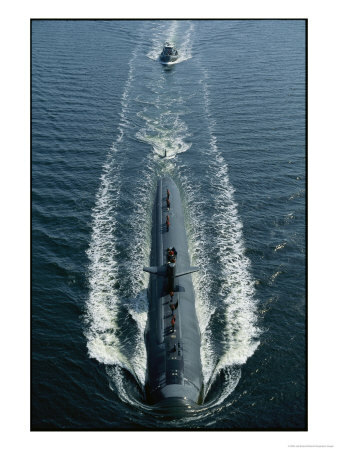 A league is a unit of measure, and the French league (to which Jules Verne refers) was standardized at 4 km; the distance is not the depth, but the distance which the submarine has covered. Captain Nemo’s name is a subtle reference to the Odyssey, and it’s latin for “no man” or “no-body”. 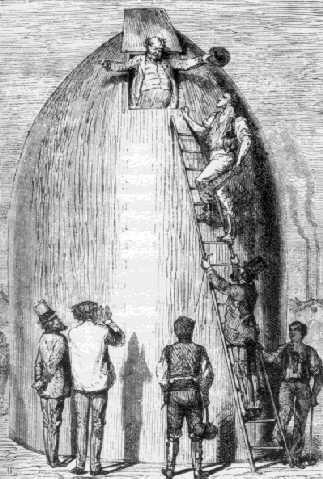 It’s perhaps Jules Verne’s most well known work, and the fact that his writing inspired inventors to pursue this idea is alone something amazing. 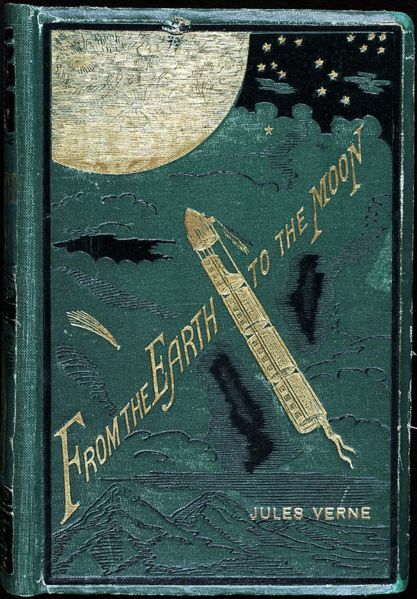 In the humorous From the Earth to the Moon, published in 1865, Jules Verne describes a crew of three people who launch themselves in a projectile, hoping to land on the Moon. The amazing fact is that there are a whole lot of similarities between the novelists’ vision and Apollo 11. Also, it’s worth mentioning that he made some calculations which he mentions in the book, and which are amazingly accurate for a time when nobody had even considered this. The dimensions of his projectile are very close to those of Apollo 1, and both crews consisted of 3 people. Also, the name of his canon was the Columbiad, while the command module for the American mission was called Columbia, and he also launched from Florida, where all the Apollo missions were launched. The people were then returned by parachuting in the sea, which was also surprisingly accurate. Well yeah, he was very close to being accurate for that time; but the truth is that such a gun would have to be extremely long. A canon as long as the Eiffel Tower for example would lead to about 1000g of acceleration. So people had to find an even better solution, which they did. In several of his novels, Jules Verne speaks about giant squids, especially in the colder areas of the Earth. 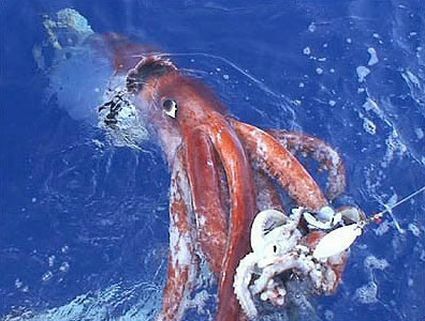 The Colossal Squid is believed to reach 12-14 meters, with the largest ever specimen found being at 10 meters (but beaks found are way bigger than the one this squid had). It’s the largest known invertebrate and it has the largest eyes in the natural animal kingdom. But in the books, these squids are even bigger and more aggressive, while in reality, there have been very few cases in which these have been spotted, and generally in very deep waters. Perhaps his most well known work, it’s actually perhaps one of the most flawed of his creations (from a scientific point of view that is; as science fiction, it’s absolutely brilliant). It speaks about the adventures of a professor who leads his nephew and hired guide down a volcano in Iceland, to come out in Italy. As they went lower and lower, the living organisms they encountered resembled the geological time; as the rocks got older and older, the animals get more and more ancient. In the novel with the same name, Jules Verne writes about people from the same club as those who were trying to get to the moon are trying to buy the North Pole, in order to get access to the natural coal resources. Today, the political situation is a bit different. The countries which surround it are Russia, the United States (via Alaska), Canada, Norway and Denmark (via Greenland), but they are limited to a 200-nautical-mile area around their coasts, and the rest is administered by the International Seabed Authority. That’s right, he anticipated these too. In The Carpathian Castle, some villagers are terrified of a certain castle, from which they can hear voices and see shapes. An intrigued visitor decides to see what is happening, and he finds out that they were hearing just recorded sounds and holographic images.